These beads are extraordinary and are were made by us exclusively for our event. 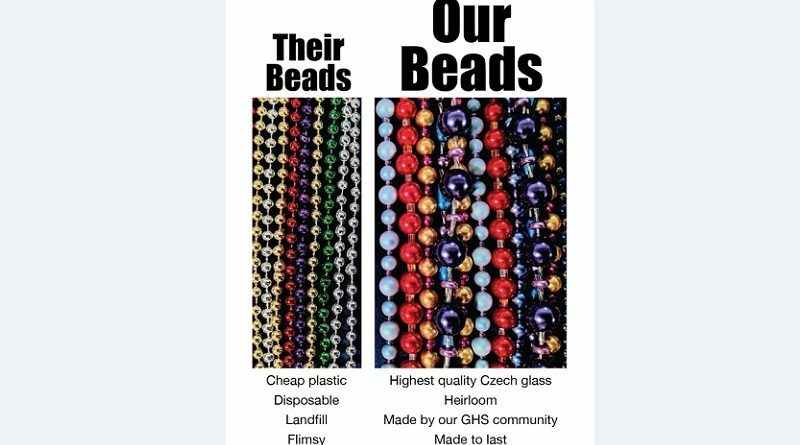 100% of the proceeds benefit GHS and our goal is to sell each and every of the 500 strands at the Community Celebration. Choose your favorite colors and designs! 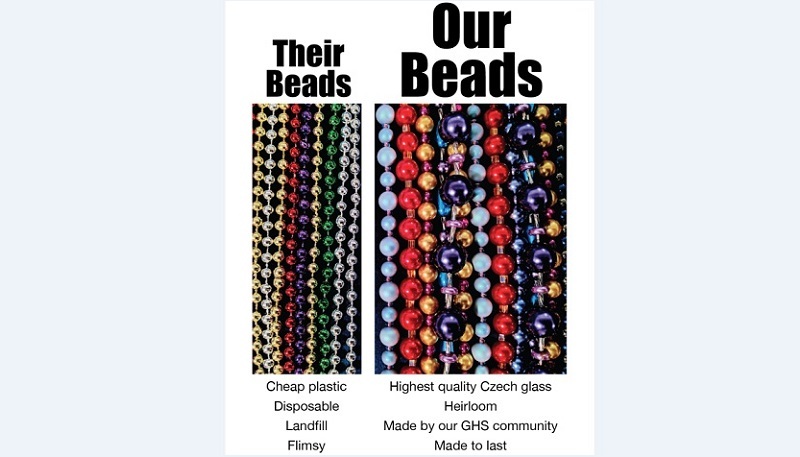 You may wear whatever you like, as long as you make room for lots of beads. Or shop the Street Market for more Bourbon St. gear! : Handmade Masks, Banana Puddings, Assorted Grocery Goods. ← Garfield Debate Wins State!